Green waste or yard waste consists of yard trimmings, leaves, and flowers from landscapes and parks. Mulching or composting green waste is a great way to keep biodegradable waste out of the landfill. Backyard composting is also a great way to figure out how much food waste you actually produce, and maybe you can figure out how to waste less. Visit the King County Washington website for great tips on how to reduce that wasted food and money. Beyond bulk-food-product packaging, food waste is a leading contaminant in Santa Fe’s recyclables. According to the EPA, food is 14.9 percent of waste generation and 21.6 percent of waste disposal in landfills. Compare that to glass, which is 5 percent of waste generation. In the U.S., we waste enough food to fill 750 football stadiums every year. Reduce your food waste by planning meals. Look at recipes. Create a meal plan for the week, and only buy things you need for those meals. If you have tried your best, and you are not going to be able to eat your food before the end of its life, donate it to a local food bank. Forty-nine million people live in food-insecure households in the U.S., meaning there are times each year when they do not know if they will have enough to eat. If the food is not fit for human consumption, find a local farmer who could use it as animal feed. Visit with farmers at the Santa Fe Farmers’ Market. For items that could not be consumed or donated, such as coffee grounds, consider creating a valuable soil amendment by making compost. Regardless of the size or type of your residence, there is a system that could work for you. If you have a yard, you can use something as simple as 10 feet of wire fencing to create a 3-foot diameter compost bin. If you do not have a yard, you can purchase indoor, odor-free composting bins. Beginning in Summer 2018, a limited number of customers of Santa Fe County Solid Waste Convenience Centers will be selected for a Pilot Project* in which a backyard- or indoor composting system will be installed free of charge. 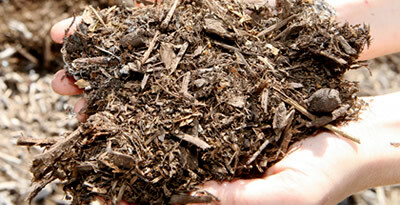 Branches should be mulched before composted for easier decomposition. They can attract rodents and pests and have a difficult time breaking down in a backyard bin. Pallet wood usually has nails and is treated which is not desired for landscape applications. The fibers in a palm frond are too difficult to mulch or compost. Vermicompost, or Worm Composting, is the process of composting using various species of worms (usually red wigglers, white worms, and/or earthworms) to decompose food waste and some plant material. Worm castings, or “black gold”, are the end-product of vermicomposting and it can be used as a soil amendment that helps improve the physical structure of the soil, enhances germination, increases plant growth and crop yield, and reduces waste to the landfill. Small-scale vermicomposting is ideal to turn kitchen waste into high-quality soil amendments without the additional physical effort (turning the bin) that bin composting requires. What can I Feed Worms? How can I Start Vermicomposting? You can call Payne’s Organic Soil Yard to purchase a bin and worms to start vermicomposting in your own backyard, today!